Karina's Kreations: Wonderful Moments Congratulations card! Wouldn't this be a beautiful card to give to a friend? 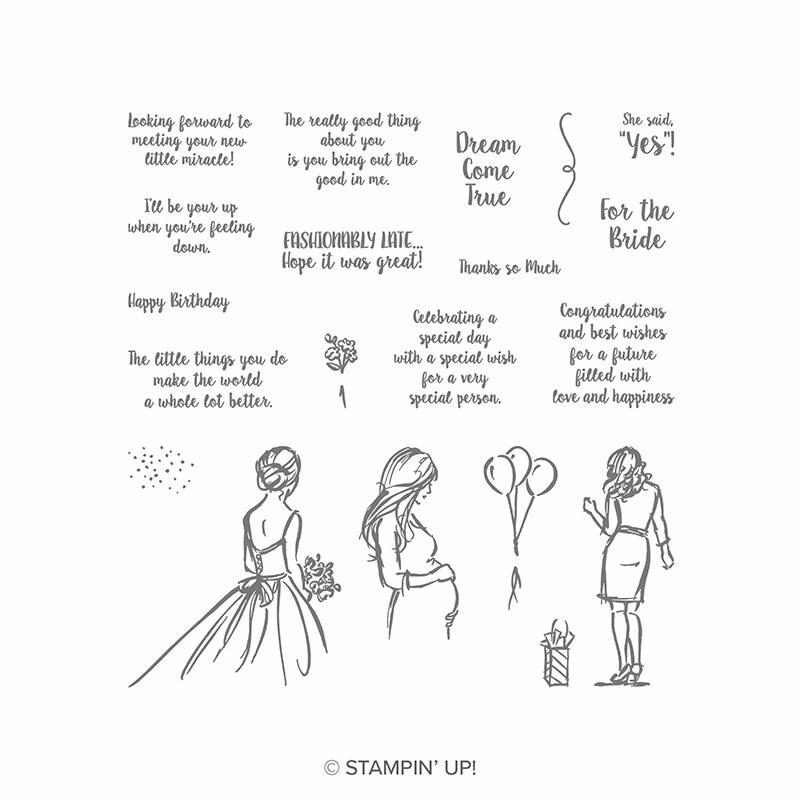 This week I'm featuring the Wonderful Moments stamp set. I love the three main images in the set along with all the sentiments. This is a great set to add to your collection. The image was stamped with Black Memento ink on Whisper White card stock and colored using the 2017-2019 In- Color Stampin' Write Markers. TIP: Adhesive can show through vellum card stock so I strategically placed the adhesive behind my main image and the rose glimmer paper. I used a couple glue dots and hid them behind a flower on the vellum paper. These colors are retiring in May so if you like them, get them while they are still available.